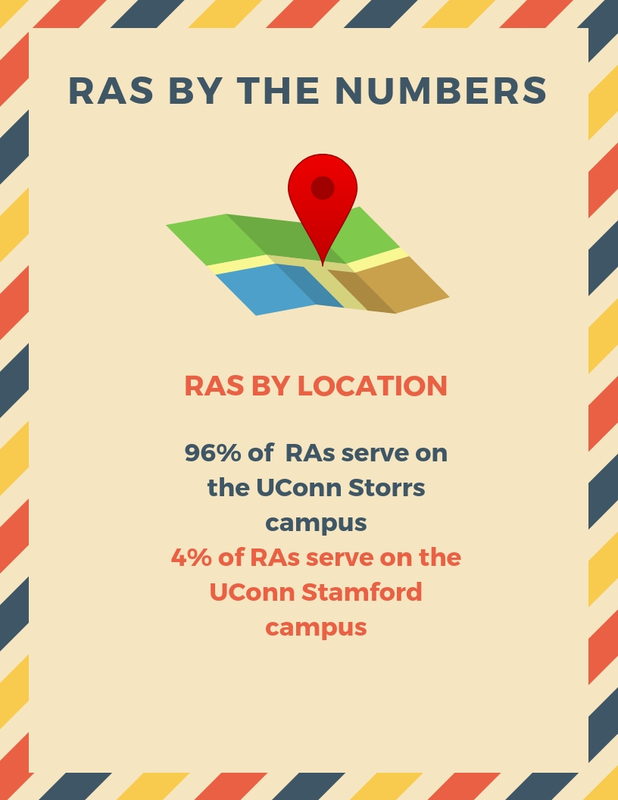 Be living on campus at Stamford or Storrs for fall 2018. Have sophomore academic standing by the fall 2019 semester. Continue to be eligible to live on-campus (must complete the online housing application by the January 21, 2019 due date). If applicable, complete and submit the campus change application by the stated due date. Have a 2.50 cumulative grade point average (CGPA) when grades are checked at the end of the fall 2018 semester. Be a member of the community in good standing: cannot be on University Probation (not academic-related). Any other findings of responsibility/being in violation will be reviewed and may make the candidate ineligible to continue in the process; especially if the incident(s) occurred during the fall 2018 semester. Candidates who are interested in Learning Communities [LCs], Honors, or Special Interest Communities [Gender Inclusive, Husky Village, and Veterans] will also need to meet the criteria noted below. Must have successfully completed the first-round interview. Priority consideration is also given to those candidates who have already lived in the community as a student. 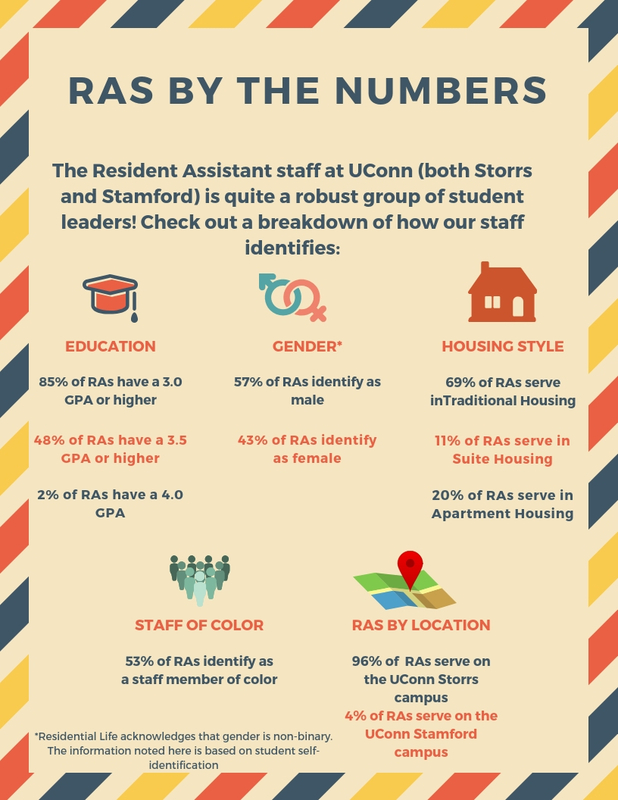 Be a current RA on the Stamford or Storrs campus. 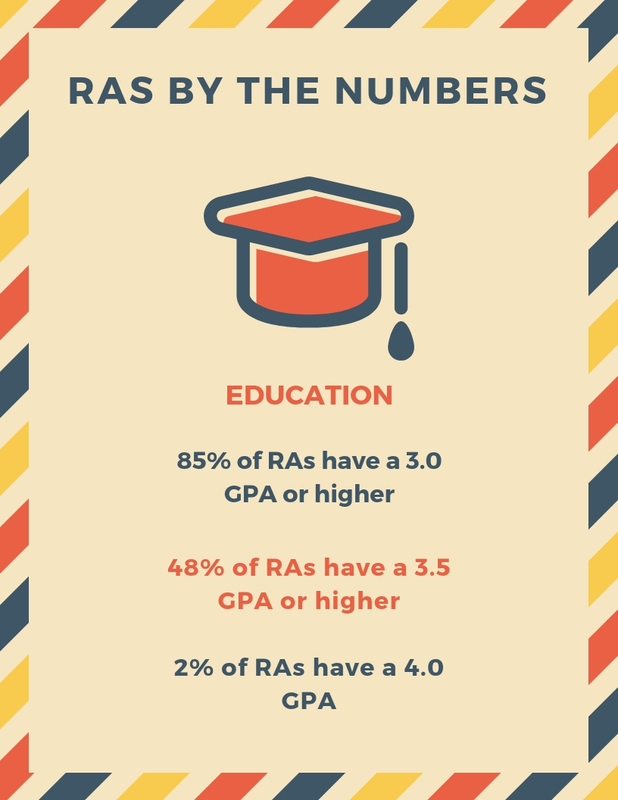 Have a minimum of 2 complete semesters as an RA. Have an overall rating of 'very good' on their performance evaluation. Be in good standing with the RA Performance Process; cannot be on Employment Probation at the time of application. Must remain in good standing throughout the process. 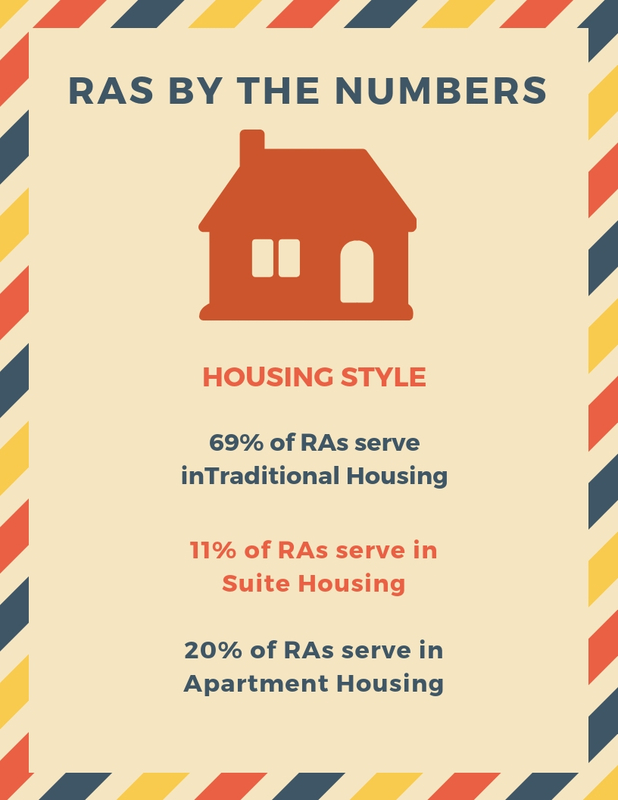 RAs will receive a housing waiver for their RA room. The waiver is not an exact match for the RA’s assignment. Instead, it is an average of all room rates. RAs will also receive a cash stipend of $4,160.00 for the academic year. The stipend is paid out biweekly. The SRA* cash stipend is $6,000.00 for the academic year, and is also paid out biweekly. RAs who are on-duty during break periods will be paid separately for the actual days worked. Tuition and fees are not waived. 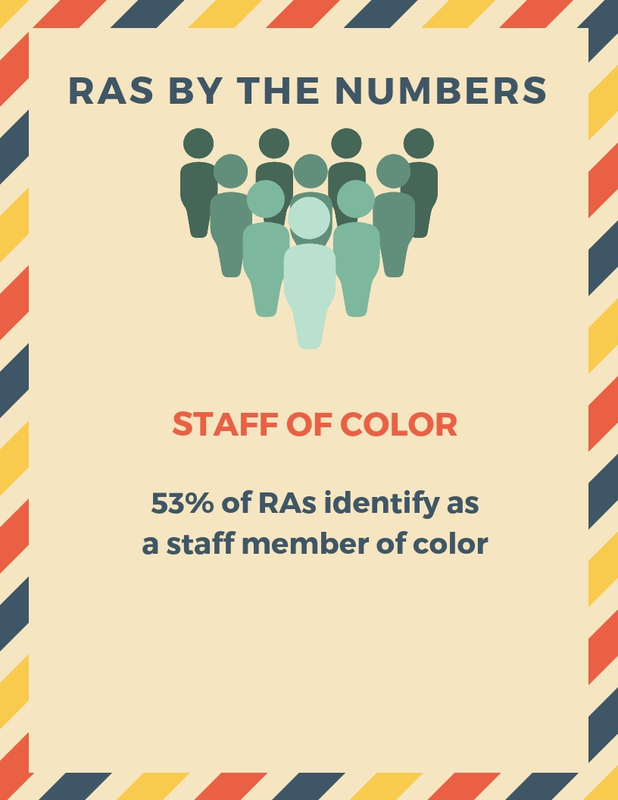 *SRAs are selected from within the current RA group. Understanding the nature of working in/on teams. The Residential Learning Model, also known as the RLM, is an intentional way of promoting learning in college and university residence life programs. It is a very specific approach to structuring learning outcomes. The philosophy of the RLM maintains that programming is only one way to connect and engage students. Our primary goal is to ensure that we are helping our students connect to UConn, to other students, staff, and campus resources. Additionally, we want them to be engaged in the campus community. 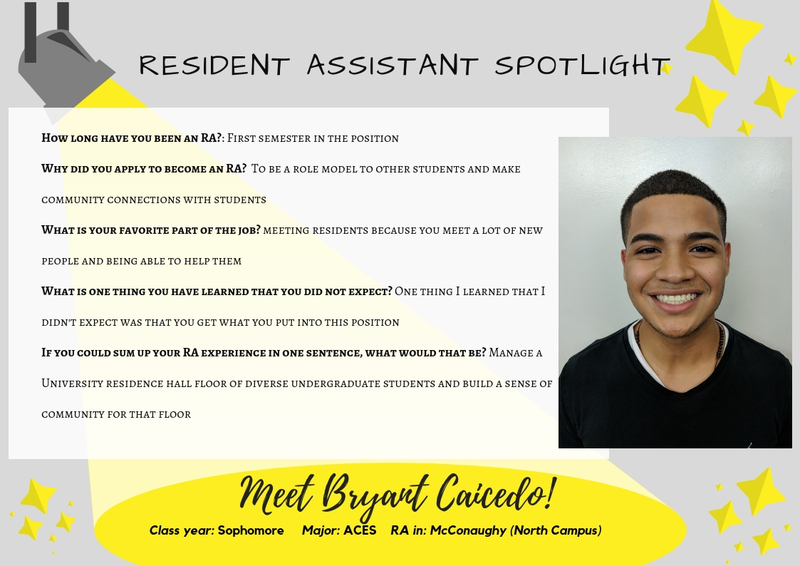 The Department of Residential Life believes that end result of students living on campus, being connected and engaged will be that our students will grow personally, interpersonally, and intellectually. 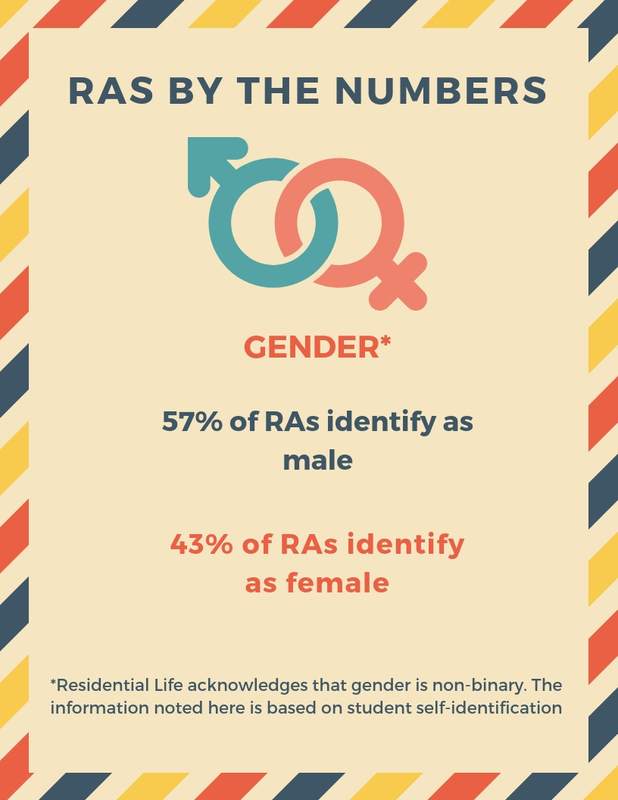 RAs play a major role with their residents in achieving these goals with their residents.